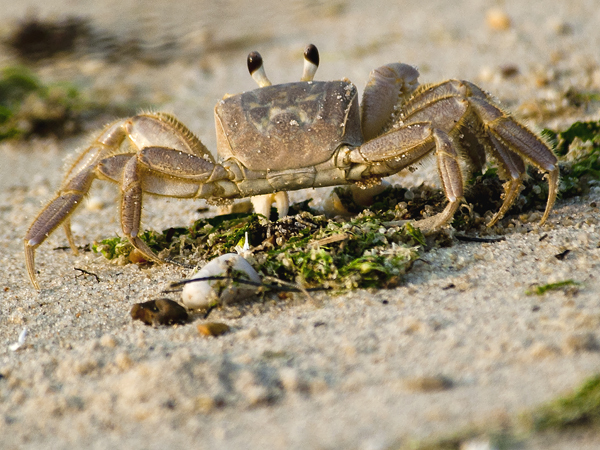 Ghost Crabs are common on Mid-Atlantic but not often seen. Their burrows in the beach are clearly evident but they are a wary critter, afraid of passing predators like gulls just waiting to feast on them. I waited patiently this evening for one to come out of its hole in the beach and sure enough out it came. It went right to the high tide drift line to search for its dinner.